I’m quite sure that Donald Trump’s speechwriting team will not be looking to me for advice on preparing his inauguration speech. But, what the heck, I’m going to offer some anyway, in my next couple blog posts. 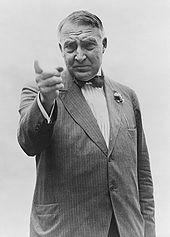 Unsought bit of advice #1 … learn from Harding. Harding certainly got off to a really bad start, delivering an inauguration speech that is usually rated as among the worst, if not the very worst, ever given. Let us express renewed and strengthened devotion, in grateful reverence for the immortal beginning, and utter our confidence in the supreme fulfillment. But America, our America, the America builded on the foundation laid by the inspired fathers, can be a party to no permanent military alliance. It can enter into no political commitments, nor assume any economic obligations which will subject our decisions to any other than our own authority. The unselfishness of these United States is a thing proven; our devotion to peace for ourselves and for the world is well established; our concern for preserved civilization has had its impassioned and heroic expression. The speechwriting lesson here could not be more clear: stay away from platitudes, clichés, and leaden phrasing. This entry was posted on Monday, January 9th, 2017 at 10:46 am and is filed under CEO speeches, Presentation Tips. You can follow any responses to this entry through the RSS 2.0 feed. You can leave a response, or trackback from your own site.